Hertfordshire County Council have introduced a new School Closure Notification System. In order to ensure parents and guardians are informed as quickly as possible of anything that may have an impact on a normal school day, a notification system has been put in place to enable messages from schools to be sent immediately via text message, email and a voice message (if required). Please take 5 minutes to register your details for any Hertfordshire school your child attends so that you can receive immediate information and updates. This will take you to the “Sign Up” page where you should click on the “sign up” button located at the top right hand side of the page on the grey strip and from there follow the instructions. You can edit the information at any time should you change your mobile number or email address. In addition to adding your own mobile number and email address, you may wish to include the mobile number and email address of a partner or a grandparent in the registration process. They too would then receive any messages in relation to the school’s closure. Alternatively, interested parties can register themselves separately. If you have children at more than one school you can register for those schools too in a single registration process by selecting all schools they have children at. 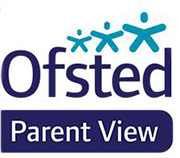 Once signed up you will receive messages relating to the status of your child’s school. If the school has to close due to severe weather conditions a message will be added to the home page of the school website. In addition please use local radio stations and the Hertfordshire website to obtain more information. Please do not telephone the school. We will send a text message to inform parents if the school is to be closed during the school day.